It’s hard to believe that we’re already at the end of 2015. Looking back at the past year, we’ve accomplished quite a bit and drank quite a lot of NC wine — 2015 was pretty big for the NC Wine Guys. As we close out the year, we take a look back at some of the highlights of the year. Shortly after 2015 began, we kicked off our first “regular” blog series. We use the term “regular” loosely, as there were only 5 posts. That being said, they were spread over the late spring and lasted into the summer. The rest of the fall was just as exciting. The NC Wine Guys got married on 10/17 at Silver Fork Winery and it was an event to remember. Before we knew it, winter was upon us (a balmy one at that), and here we sit. It’s New Year’s eve and we’ve come a long way. 2016 is just around the corner and with it comes a whole new adventure for us. In addition to our regular Featured section, we are also going to kick off a new series called “Our Month in Wine”. 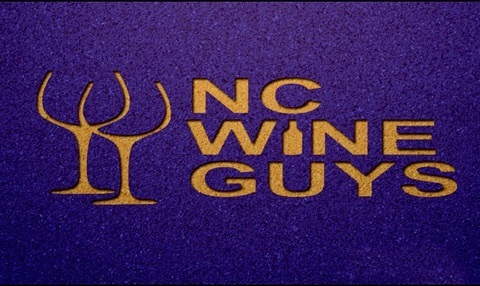 The intent is to give a recap of our month of NC wine and highlight some of the wines that stand out each month. We also have a podcast in the works, and we’re looking for a summer release. One thing is certain, if 2016 is as exciting as 2015 was, we’re sure in for a great ride. Here’s to a great year gone by and another soon to come. Cheers!